A generic drug is simply a copy of a brand-name drug with the same active ingredients, the same dosage, the same route of administration, which works in the same way as the original drug. However the generic is also sold by its chemical name as opposed to the brand name. In March, for example, the FDA approved generic Lexapro, marketed as escitalopram; in August they approved Singulair's generic, called montelukast. Aside from names, the major difference is in the inactive ingredients--and the price (packaging and presentation differ, too, of course). One of the most recent studies on the cost of developing a new drug found the price tag averages $802 million, which becomes $897 million once post-approval testing is factored in. To reward a drug company's years of efforts and huge expenditures in creating the compound and bringing it to market, once the Food and Drug Administration approves the drug, it grants a patent, giving the company exclusive rights to sell that drug until the patent expires. To recoup the costs, the company charges a high price, as high as the market will bear. And for years, that's how it was, with generic companies hard-pressed to get a foothold in the market, as pharmaceutical companies came up with a variety of strategies for extending their patents. But in 1984 Congress passed the Drug Price Competition and Patent Term Restoration Act, also known as the Hatch-Waxman Act, which greatly simplified the process of generic drug approval by the FDA. Now generic companies submit a much simpler Abbreviated New Drug Applications (ANDAs) to the FDA. Under the ANDA requirements, generic drug makers must show that their drug is the bioequivalent of (the same as) the brand name drug (see details below)--but they do not have to repeat the drug creators' clinical safety and efficacy trials. That's a big deal. As Forbes point out, just one clinical trial can cost as much as $100 million. Additionally, generic companies can begin their development before the branded drug has officially gone off patent. Today nearly 8 in 10 U.S. prescriptions are for generic drugs, a number expected to grow as popular drugs continue to come off patent through 2015. And getting that first generic on the market—although not simple—is pivotal in terms of cost-savings. Cornerstone Research ran an analysis, using a sample of branded drugs, which indicated that, on average, 16 generic competitors enter the market within three years after the original generic entry. As the number of competitors increases, generic prices fall--and the share of prescriptions filled with the generic increases. 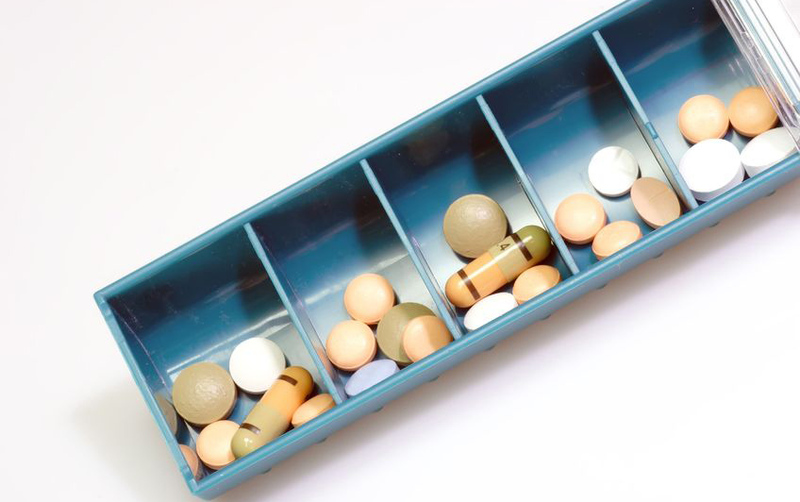 Cornerstone Research's study showed that 83% of prescriptions were filled with a generic version 12 months after the first generic entered the market, and the speed seems to be increasing. The FDA notes that, on average, generic drugs cost 80-85% less than the brand name meds, and in 2010 alone, the use of generics saved the U.S. $158 billion. But the cheaper price shouldn't make people think they're getting an inferior product. Generic drugs are made much the same way their brand name counterparts are made. The manufacturers of generic drugs are held to the same FDA standards as the makers of brand name drugs. Their facilities are inspected and safety is monitored. In fact, because generic drugs must have the same active ingredients, dosage, strengths, and means of administration as the brand name, they only differ in the inactive ingredients, shape, taste, and color (and—yet again—price). The FDA requires studies that show that, after the patient takes a generic drug, that the amount of the drug in the bloodstream is the same as levels found when the brand name drug is used. As you might imagine, many people are pleased with the savings generics bring about. The pharmaceutical companies that developed the original branded drugs are not among them. Bristol Myers-Squibb's sales of Plavix dropped 96.4%, from 1.7 billion over the same period last year to $64 million after losing patent in May. Eli Lilly's antipsychotic Zyprexa once earned more than $5 billion in sales, but over this past quarter sales of the drug, which went generic in 2011, fell 68% to $374.5 million. Merck's blockbuster Singulair fell 55% during the quarter, with $502 million in sales compared to $1.3 billion last year after it went generic August 3rd. AstraZeneca's Seroquel IR went generic in the US in March, and global sales declined 83%, to $169 million for the quarter. Some of these large losses involve a throwing up of hands on the parts of the branded drug makers themselves. They usually greatly reduce promotion of their drugs (including distributing free samples) after generics enter the market, since they believe sales resulting from such promotion will just go to generic drug makers. They often also decrease the rebates they offer to third-party payers, which, along with the reduction of free samples, leads to an increase in the price of the branded product. If this seems unfair to the drug companies who put in all the work while the generic makers get all the fun, though, don't worry--the patent holders have found a way to fight back. there is a patent on the brand-name drug--but the generic manufacturer is claiming the patent is either invalid, or will not be infringed upon by the generic. That last bold one is called a Paragraph IV Certification. Despite its innocuous name, it can cause a barrel of trouble, and delay public access to generic market competition for three years or more. Once the generic drug company submits its ANDA with that Paragraph IV Certification, it has to notify the brand-name manufacturer, who then may immediately sue for patent infringement. This is a good strategy for the branded drug makers, for a patent infringement lawsuit filed within 45 days can delay marketing of the first generic for 30+ months. You might wonder why any generic drug maker would file such a certification. Well, it's like this. The first generic to file a Paragraph IV certification will receive 180 days of market exclusivity, during which time no other generics can come on the market. This is a reward for the manufacturer willing to risk the cost of patent court litigation. The 180 days starts counting either after the first generic goes to market, or after it wins its patent lawsuit--if it does. Those lawsuits by the patent holders hold things up considerably. If a generic files its challenge against the brand patent, and the brand-name manufacturer does not sue, the FDA proceeds with the approval process, which usually takes 18 months. 180 days later, or at 24 months, other generics will enter the market. Voila! full market competition. If, however, the brand name company brings suit, the lawsuit triggers a 30-month delay. At 31.5 months, if the generic is approved, two things might happen. Possibly, the generic will go ahead to market; other generics will wait 180 days; at 37.5 months other generics will enter the market. A somewhat later voila! full market competition. Alternatively, the first generic might wait to go to market until the lawsuit is decided, an average of 6 more months. Assuming the court rules in favor of the generic, it will then go to market, 37.5 months after the process has started. 180 days later, at 43.5 months, other generics may enter the marketplace, and it will have been close to four years before full market competition has been realized. Another, less-than-ideal alternative for the consumer, is that after the brand-name manufacturer sues the generic maker, the two companies will reach an agreement that the first generic will not go to market, thus keeping generics off the market altogether. Other quirky efforts on the part of the brand-name holder can keep generics off the market longer, as well. To keep market exclusivity on Cipro, (with sales of over $1 billion), Bayer actually paid $400 million to the generic drug maker who had rights to market, Barr Laboratories. The deal? Barr would keep its generic off the market until Bayer's patent had officially expired. NEWSMEDICAL writes about pharmaceutical company Cephalon, former holder of the patent on stimulant Provigil. Cephalon filed suit against several companies that held generic exclusivity rights to make modafinil, the generic. But then Cephalon agreed to "settle" its suits by making an offer the generic makers couldn't refuse--Cephalon would pay the supposed infringers over 1 billion dollars if they agreed not to market the generics during their period of exclusivity. Thus Cephalon extended its market exclusivity for Provigil for 6 months--although its patent had already run out. Fundamentally the branded company figures that rather than spending years and untold millions defending its patent, it's faster, cheaper and easier to simply pay the generic company to keep its drug off the market for a while--and the consumer continues to foot the bill. The New York Times asserts that in 2011 the Congressional Budget Office figured out that a Senate bill to outlaw such agreements would save the government $4.8 billion over 10 years and would decrease drug costs in the U.S. by $11 billion. Where is that legislation? Stalled in the Senate. However, on July 16th an appeals court in Philadelphia decided that this ‘pay-not-to-play’ arrangement is anticompetitive. The case could potentially go all the way to the U.S. Supreme Court, where the decision might make a significant difference in drug prices and health care costs. But it could be up to 3 years before the Supreme Court hears the case--if it hears it at all. In the meantime, it seems branded and generic companies could stay caught in their 'pay-not-to-play' dance, keeping generics off the market, and preventing untold savings, to the detriment of the consumer.